figma Rin Tohsaka: Casual ver. The crimson magician is now available as a figma! 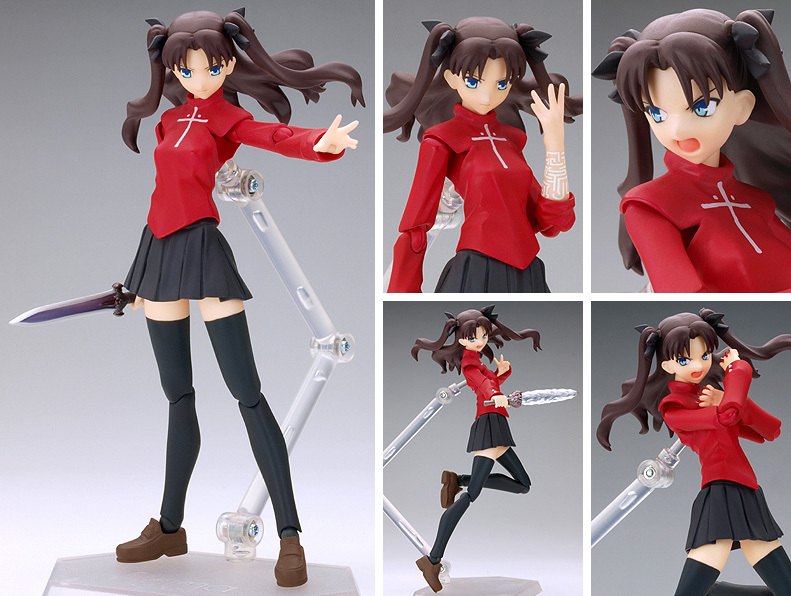 Following on from the popular Saber, comes a figma of the "Average One", Tohsaka Rin from Fate/Stay Night! - Using the smooth yet poseable joints of figma, you can reproduce many different scenes. - To make sure that proportions were kept while still leaving the figure poseable, a flexible plastic was used for a part of the skirt and the shirt. - There is a replaceable shouting face for action scenes. Using the posability of the hair you can give her an uplifting pose. - Comes with the Azoth sword, as well as a clear mould of the jeweled sword Zelretch as weapons.